For our first month in New York we’ve rented a small apartment in the Fort Greene area of Brooklyn. Whilst we’re planning to end up on Manhattan itself, we need to get all sorts of paperwork organised before we can rent long term, and when we were back in London searching for temporary lets on airbnb this looked like a good option. 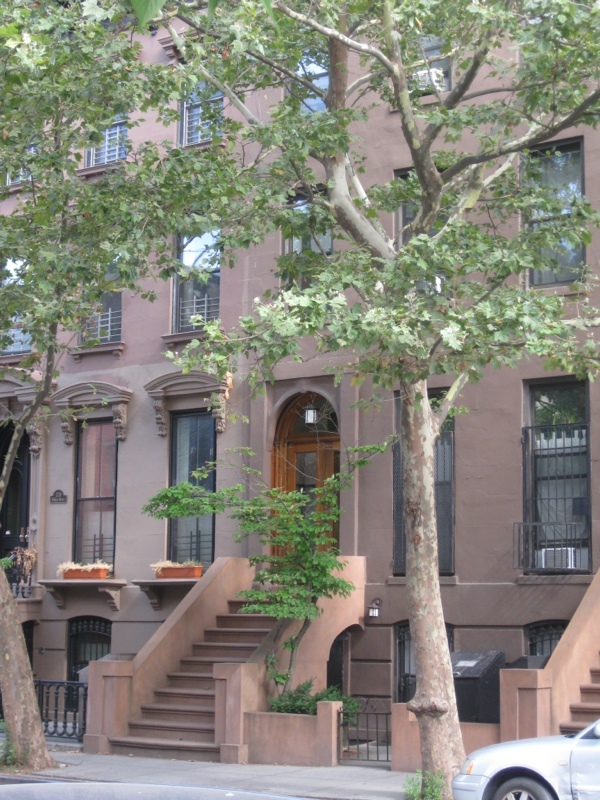 On the first floor of this rather lovely brownstone building, the apartment looks out over trees and gardens, and contains everything we need for the time being (including sufficient space for all our luggage!). 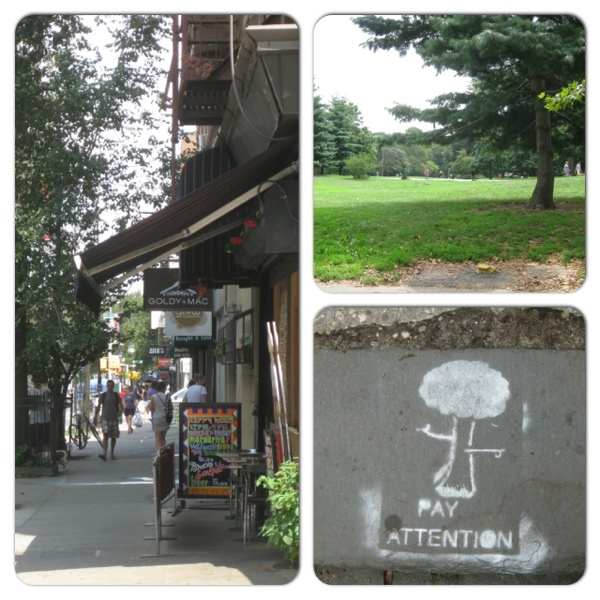 The small-but-perfectly-formed Fort Greene park is at the end of the block, and the neighbourhood is well-served with interesting delis and nice-looking bars and restaurants, as well as more mundane shops too. There are also at least two farmers markets in the area at weekends, a little one at the corner of Fort Greene park (which we enjoyed shopping at on Saturday) and an apparently much larger one somewhat further away. 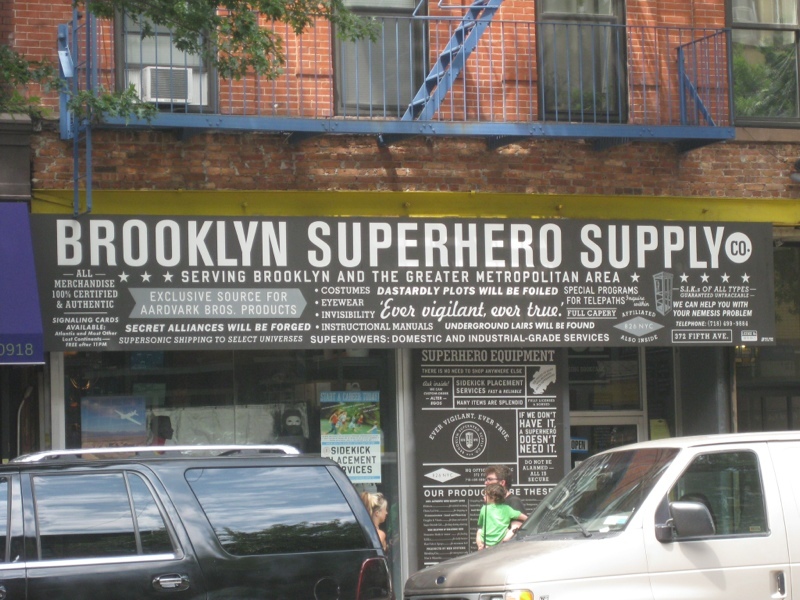 On our first Sunday here we ventured a couple of miles further into Brooklyn, to the green and leafy expanses of Prospect Park and the more upmarket environs of the Park Slope area. In addition to lots of interesting-looking boutiques and eateries, this area is also home to the impressive-looking Brooklyn public library, and the Brooklyn Museum, and I’m sure we’ll be heading back to visit them soon. 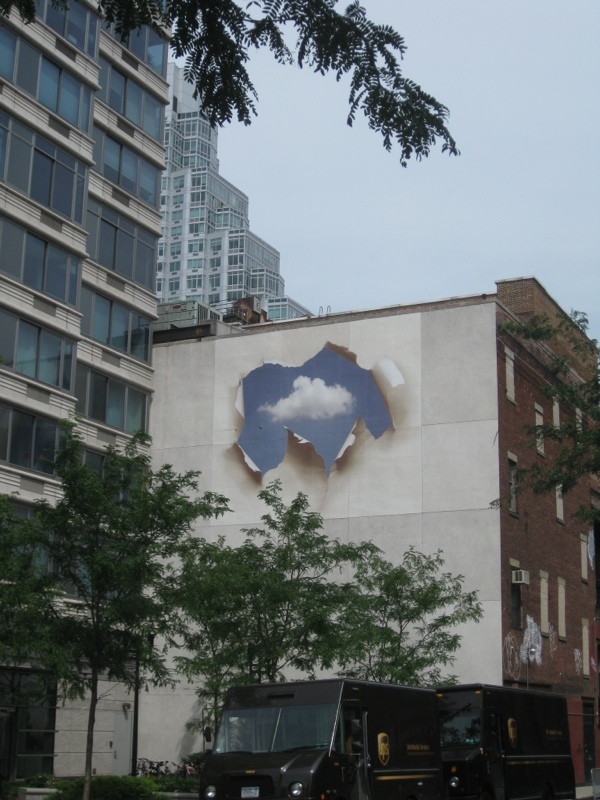 This entry was posted in Exploring and tagged Brooklyn, neighbourhoods by Emma Davidson. Bookmark the permalink.